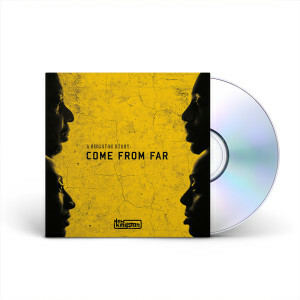 Get A Kingston Story: Come From Far on CD with three 3” square crack-and-peel MADD FACE stickers, so you can spread your love of New Kingston around. The fourth studio album by the band is a conceptual journey that tracks the personal histories, journeys, and current lives of the New Kingston family, transforming these stories into a seamless musical piece. Please note: this is a pre-order and will ship on or about 08/23/17.